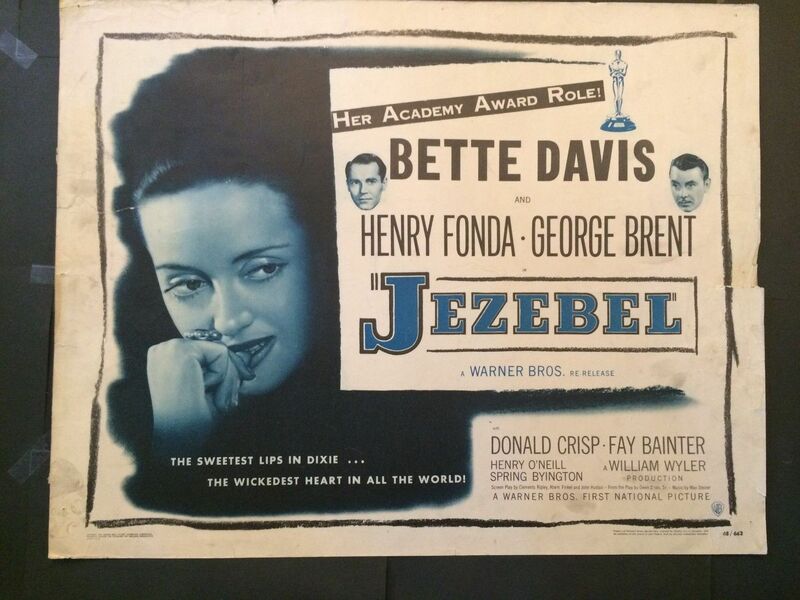 Jezebel (Warner Bros,1938) US Half Sheet 22"x28"
In 1850s Louisiana, a free-spirited Southern belle loses her fiancé due to her stubborn vanity and pride, and vows to win him back. Directed by William Wyler and starring Bette Davis and Henry Fonda. 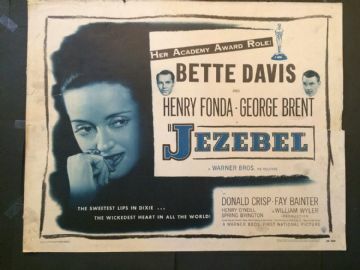 This 1948 release poster had edge tears on both sides which have been repaired. It has never been folded and in my opinion would benefit from a simple paper-backing. However, it does display really nicely as is and you could leave it.